According to the old saying, ‘there’s many a slip twixt cup and lip’ and simply transferring liquid from a vessel to your mouth can be more prone to errors than we may think. Those sorts of potential complications are like nought, though, when comparing it to the perils inherent in converting an outstanding young footballer into a mature professional who delivers on the talent promised. Even for a player described by a highly experienced scout as the “most gifted player of his generation” as a 16-year-old, displaying outrageous ability and a talent surely destined for greatness, things don’t always work out. Even a player who turned out for his country’s age-defined teams all the way through the system from under-16 up to under-21, wearing his national colours on 73 occasions and scoring 23 goals, can promise so much and yet somehow fail to deliver. Even a player whose audacious ability leads a top Premier League club to risk fines and transfer bans to bring such a precocious commodity on board can repay such commitment with disappointment and disillusion. Each of those three descriptions could apply to any number of young players, but perhaps all three, together, only point to one lost talent, one protégé who fell short, a player whose career saw the fabled Alchemists Stoneworking in reverse, as gold turned to base metal. That player is Gaël Kakuta. Football was in the genes of the young Kakuta. His desire to play was first kindled when, as a seven-year-old in Lille, he watched his uncle play for Lille’s reserve team. The uncle would never to progress far with the Les Douges, but the moment was enough to inspire the young boy. 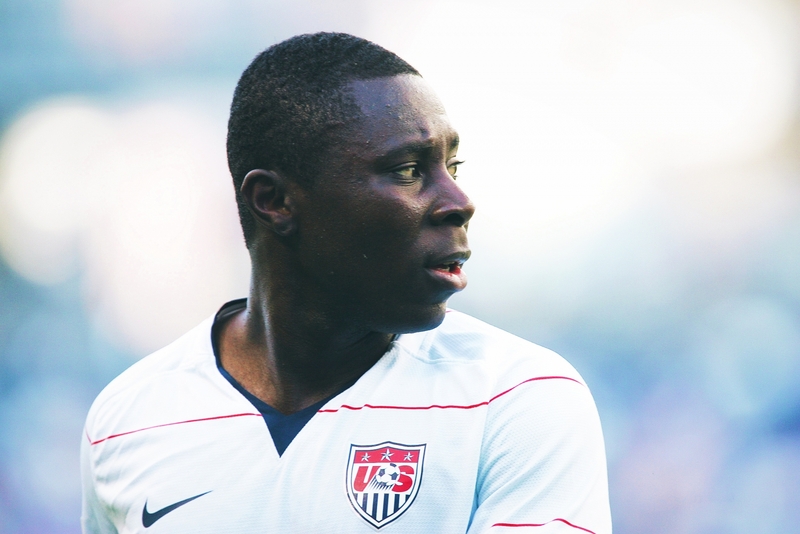 It was a dream that began to take shape as he joined local club US Lille-Moulins. As a seven-year-old, though, his first game was nothing short of disastrous, a 17-1 defeat being the sort of traumatic experience enough to dissuade any aspiring player that there was perhaps more enjoyable things to spend his time and effort on. As things transpired, though, it was a case of getting the low points out off the way as early as possible. A couple of years later, after developing the talents that would later seduce the minds of watching scouts, he would sign youth terms with Lens. Although not his local team, the Sang et Or were only 29km or so from his home, near enough for a nine-year-old not to feel totally lost. 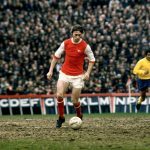 The travelling and separation from home seemed to do the youngster no harm, and he would stay at the Stade Bollaert-Delelis until he was 16, when his career would take a controversial turn. It’s little surprise to anyone these days that most Premier League clubs have a network of scouts scouring the continent for young talent. Capturing a player with great potential can often be achieved at a snip of a price that would be demanded when his full talent had blossomed. For good or ill, Chelsea had a reputation for hoovering up as much talent as they could catch in their dragnet trawling across the academies and training centres of European football. 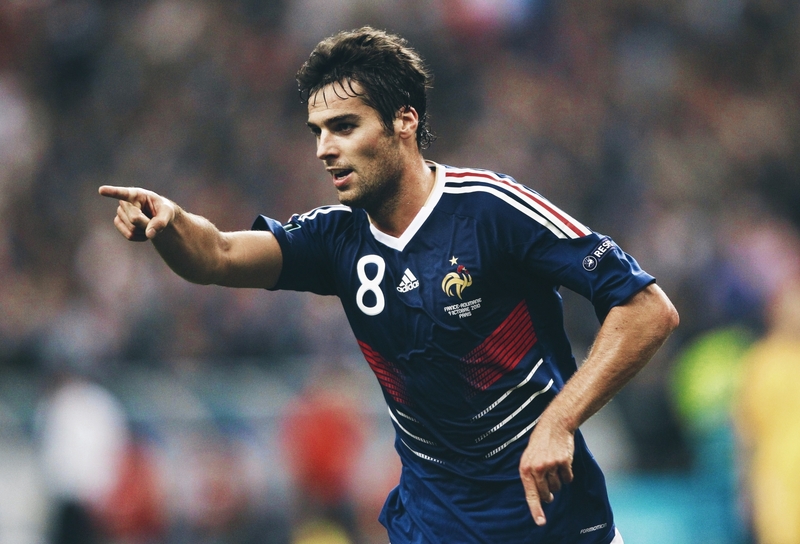 Read | What happened to Yoann Gourcuff, the next Zidane? Often throwing the less promising back into the pond, even after nurturing them for a few years, seemed to pay dividends when they landed the two or three big fish that would either make the first team – unusually – or more likely bring in loan fees before a sale to another club. It was this network that first alerted English football to the potential of Gaël Kakuta. At the time, the club’s scout in France was Guy Hillion. After stints with Nantes, Bordeaux and Rennes, Hillion had developed a finely-tuned understanding of the French football scene, especially with regard to the younger talents bubbling away in youth teams. He joined the Blues in 2006, becoming part of Frank Arnesen’s structure dedicated to identifying potential transfer targets. The following year he went to the club singing the praises of a 16-year-old talent, describing him as “the most gifted player of his generation.” It was a bold claim, but having watched Kakuta play a number of times, Hillion was convinced that using the phrase was not mere hubris. He convinced the club’s hierarchy to move quickly before someone else beat them to the prize. At the time, Chelsea had become a strutting newcomer on the scene, a gatecrasher into the elite group of clubs that had both the money and the players to compete with the best. As such, their approach to Lens to take Kakuta across the channel was, as reports suggest, more bullying bluster than gentle persuasion. One account relates Lens general manager as being told, despite his reluctance to lose the player, to “take the money and shut up”. Whether that relates to reality or is merely a convenient cover story that served its purpose in legal circles later is unclear. Whatever the truth of the matter, Kakuta eventually moved to England without an agreement between the clubs. Clearly feeling they had been wronged, Lens sought redress and, after an investigation, FIFA ruled in their favour. Despite comments from the later-to-be disgraced presidents of FIFA and UEFA, Sepp Blatter and Michel Platini, using such emotive and clearly inappropriate terms as “child slavery” and “child trafficking”, two things became clear. Firstly that Kakuta, rather than being some hapless victim in the situation, had been keen on the move, and secondly that the whole issue, inevitably, was about money. In September 2009, FIFA’s Dispute Resolution Chamber announced their verdict. The sanctions imposed seemed almost designed to produce a response from the west London club. The player was banned from playing for his new club for four months and fined the exorbitant amount for a 16-year-old of €780,000. Chelsea were docked €130,000, the amount being payable to Lens as compensation for inducing the player to break his contract with the club. They were also barred from signing any players for the next two transfer windows. Chelsea declared their intention to “mount the strongest appeal possible” and took their case to the Court for Arbitration in Sport, appearing confident of their ground. It was not misplaced. After examining the evidence, the court adjudicated that Kakuta did not have a valid contract with Lens and therefore could not be in breach of it. The court made the inevitable decision that sanctions on both the player and club should be lifted, and the transfer ban was suspended, to be finally lifted in September 2010. It seemed like the French club had lost out due to some technical negligence in their paperwork, but a reported sum of £2.6m was paid to them by Chelsea, and any resentment held quickly dissipated. Lens had eventually taken the money. Kakuta was officially free to start displaying his talents in Chelsea blue, and proving to the world that Hillion had been correct. If in later times a less than total application to the necessary building blocks of a career was to be levelled against Kakuta, this wasn’t the case in his early years at Stamford Bridge. His first season with the club saw him recognised as Academy Scholar of the Year and Academy Player of the Year. 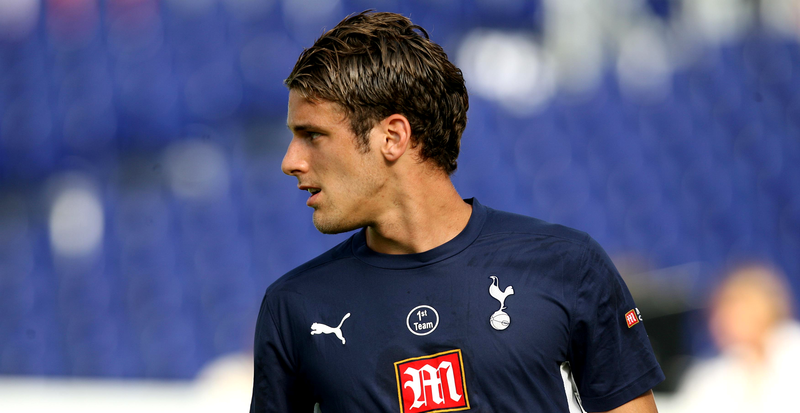 He was also the youth team’s top marksman, netting a dozen goals in just 24 games from midfield. It was the sort of return a striker would have been proud of, let alone a creative midfielder. Although still restricted to playing with the reserve team, in 2008/09 Chelsea marked his card for an early potential promotion to the first team squad when he was invited to train with the club’s elite players. It had been a headlong dash of success and progress, but it would hit a roadblock in February 2009. Competing in a reserve team game against former Blues’ manager Glenn Hoddle’s academy team, the youngster sustained a double fracture of the ankle. It meant six months out of action and was the first time that any significant event had stalled his progress in any meaningful way. It would be a test of both physical ability and temperament for a young man a long way from home. After recovery and recuperation had been completed, it seemed that Kakuta had jumped back on the bike and was pedalling away furiously to make up time. His form prompted Carlo Ancelotti to add the youngster to his Champions League squad in September 2009. A couple of months later, Kakuta made his Premier League debut with a half-hour cameo piece against Wolves at Stamford Bridge. It wasn’t exactly a sink or swim scenario, but the youngster excelled, delighting the home fans with his skill, pace and application. He was a hero in the making. In early December, another substitute appearance saw him come on for Joe Cole in a League Cup tie against Blackburn. The game went to penalties, but it was Kakuta, confident enough to take the decisive spot-kick, who missed. Would that confidence be dented? It seemed not. A few days later, Ancelotti selected him to start the home Champions League game against APOEL. Strangely enough, in those words of praise, were also the seeds of discontent for the player. He wanted to be the present of Chelsea, not the future, and lying in the same bed as confidence is the inevitable bedfellow of impatience and discontent. Failure to make any further first team appearances that term may have been regarded by the manager as sensible and patient, unwilling to rush the player’s development. The player and his advisors may well have seen it differently, though. On 11 September 2010, another late substitution saw Kakuta play his second Premier League game and, four days later, he did the same in the Champions League against Žilina. Despite being competent enough, neither carried the sparkling displays of his earlier outings. The following week, he was selected to start a League Cup tie against West Ham. It’s unclear whether giving the youngster three games in such a short time was intended to be some kind of reassurance that he was still part of the manager’s plans. If so, it seemed to fail and a poor first-half against the Hammers saw Ancelotti remove Kakuta during the break, regardless of any potential damage to his confidence. A game against Marseille in the Champions League saw him on first-team duty again. There’s always a dilemma for managers encouraged to bring youngsters through to the first team. Their inevitably time-limited reigns – especially at Chelsea – means an understandable reluctance to take risks with untried talents, especially when more experienced reliable options are to hand, even if this means alienating potential future stars. This may well have been the situation with Kakuta, but it seemed that the youngster had received sufficient assurances that his future lay at the club when he agreed a new four-and-a-half year contract just ahead of Christmas 2010. At the same time, however, he expressed dissatisfaction with his bench-warming role and a desire for more first-team football. A loan period with Fulham seemed to provide the answer for all parties. It was a chance for the Craven Cottage club to have the services one of the brightest young stars in the country, regular game-time for the Frenchman, and Chelsea would receive a more mature player back at season’s end. Things don’t always go as planned and, when he returned to Chelsea, Kakuta had made a mere seven league outings for Fulham, many as a substitute, netting just a single goal. It’s quite possible he may have played more often had he stayed with his parent club. Was Fulham a good home for a precocious young player, blessed with skills? Everything is clear of course with hindsight, but a club fighting against relegation with a no-nonsense manager like Mark Hughes at the helm seems ill-fitting. In a muck and nettles fight against relegation, fancy skills often appear an unaffordable luxury. Unfortunately the end of the season was somewhat less fulfilling than Kakuta had hoped for and he returned to Stamford Bridge a largely frustrated figure. More in hope than anticipation perhaps, the next loan move in August 2011 saw Kakuta go to Bolton on a deal lasting until the turn of the year. On 20 September, he made his debut in the League Cup against Aston Villa, and scored. It was downhill from there, though. He made just four league appearances, without troubling the scoresheets. It’s perhaps not difficult to appreciate the state of mind of the erstwhile golden starlet when he returned to Stamford Bridge at the turn of the year. After a brief flirtation with success at Chelsea, his career had been shunted onto the sidings by a mixture of impatience and poor judgement by any number of parties. The move to England had been a disaster. With a perhaps understandable desire to move on from England, Kakuta’s next loan move was to Dijon in January 2012, in a deal taking him to the end of the season. It would be an easy jibe to say that it didn’t cut the mustard. It would, however, also be largely accurate. As with his time at Bolton, things started brightly with a goal on his debut in a Coup de France encounter with Istres. Fourteen league games brought four goals, but it was less than convincing for Chelsea and, now tied to the club until the end of his contract and with no potential buyers in sight, another loan move was the only realistic option. Vitesse Arnhem had established a close – for some, too close – relationship with Chelsea and were often regarded as a nursery club, taking on promising youngsters from Stamford Bridge and developing them before sending them back, or seeing them sold to other clubs. It’s been a well-trodden path both before and since Kakuta moved to the Low Countries for a season-long loan in August 2012. Perhaps this was his chance. Renewing the loan for a further season offered hope, but he was recalled by Chelsea in January 2014, only to be dispatched on another loan, this time to Serie A club, Lazio. Rumours suggested that the player had sought a higher level of football, deciding that Eredivisie football was doing little to further this career. Was it hubris or a genuine desire to push himself in more testing conditions? A record of two goals in 30-odd league games hardly suggested he was ripping up the Dutch league. Guy Hillion, who had recommended Kakuta to Chelsea in such glowing terms, was hardly impressed. “Frankly,” the disillusioned scout remarked. “I don’t know why he put an end to his stay with the Dutch club. It is a huge waste. I already said it and I repeat it, he is the most gifted player of his generation. He could have been exceptional. The ins and outs of why a player appears to go off the rails are often unclear to the average punter, but there’s more than a hint at a possible reason in Hillion’s remarks. He also clearly thought the move to Serie A was ill-advised. Kakuta’s time in Rome only proved the scout to be correct. If playing football was the work on offer, it was very much a Roman holiday. His time on the pitch amounted to two substitute appearances. Firstly, a period of 28 minutes against Ludogorets in the Europa League, and then just four minutes during his only Serie A match against Atalanta in March. There’s an old saying dating back to medieval times that ‘All roads lead to Rome.’ For Gaël Kakuta, the direction of travel was very much in the opposite direction as, unsurprisingly, Lazio declined any further interest in the player. With just 12 months remaining on his contract, it was now clear that barring something magically unforeseen, there was little future for the player at Stamford Bridge, and any further loans would merely be marking time or perhaps serving as a shop window to potential future employers. Ahead of the 2014/15 season, Kakuta joined Rayo Vallecano, taking the chance to try his luck in LaLiga. Perhaps seeing it as a visit to the Last Chance Saloon, Kakuta stood his ground and, at the end of the season, he had played in 35 league games, scoring five times. 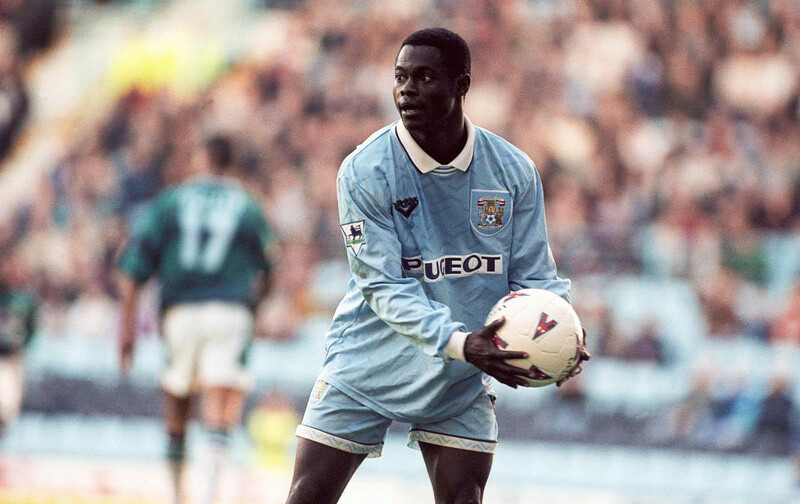 It was far from the stellar seasons that his early promise had suggested he would be delivering by this stage in his career, but it represented the best return of his time as a professional footballer. It clearly impressed some Spanish clubs. After he was released by Chelsea, he joined Sevilla, signing a four-year deal. Kakuta was still 23. He had played for no less than seven clubs since joining Chelsea as a prodigious young talent and, as Hillion had lamented, experienced “trouble in any club where you played” – except at Rayo. Twenty-three seems a ludicrously young age to consign dreams of grandeur and glory to the bin, but that’s what appeared to be the case – unless the warm welcoming Andalusian climate could rekindle the now dormant stardust in the player’s feet. Kakuta seemed keen to talk up his chances. “If I’m here then it’s because of what I did last season (with Rayo),” he said at his official unveiling. “I hope to show my quality and perform even better than I did last year.” Sadly, it wasn’t to be and, with just two league appearances behind him, Sevilla appeared delighted to accept an offer of some £5 million for the player from Chinese Super League club Hebei China Fortune. 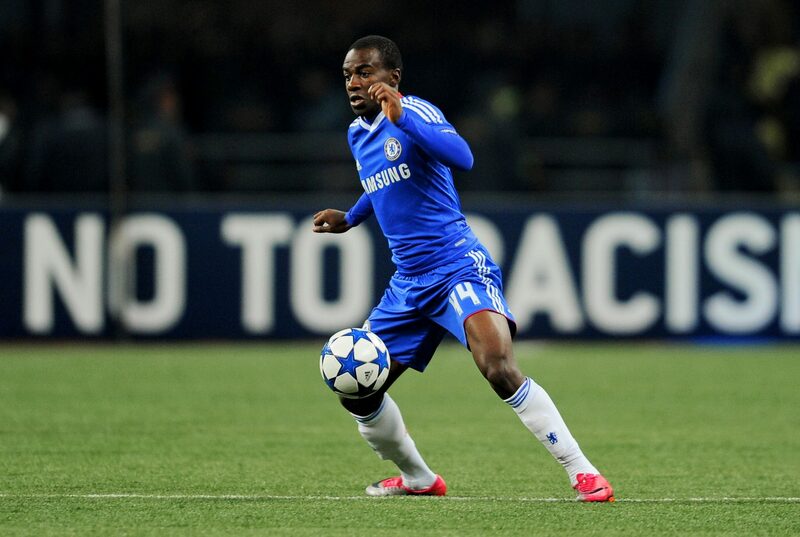 It had been reported that as Kakuta was under 24 when he joined from Chelsea, despite being out of contract, a development fee of £2.5m had been paid to the London club. After an unsuccessful period, Sevilla unsurprisingly snapped up the Chinese offer to double their outlay. It was another chance for the player. 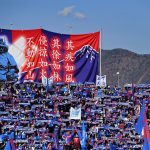 A new club; a new league; a new country. Sadly, the outcome was anything but new. Twenty-four league games brought just two goals, and less than a year after moving to China, Kakuta passed a medical for yet another loan deal, this time moving back to Spain with Deportivo until the end of the 2016/17 season. Surely one of the clubs he had journeyed to would find the key to unlock Kakuta’s lost talent. A couple of goals in 10 league appearances was hardly the worst of his returns, but patently not enough for the LaLiga club to pursue any long-term interest. Hebei no longer had a place for him in their squad and so the much-loaned player took on another club. At first, French club Amiens announced that they had signed Kakuta on a long-term deal, but after the Chinese club disputed the assertion, a loan was announced, and the wanderer returned to France. Ironically, given the location of the club, Kakuta had now officially abandoned France as his national team, although it was more likely the other way around. In 2017 he announced his allegiance to DR Congo in international football and, as his many spells at youth international level had not lead to any full caps with Les Bleus, the move was accepted. Kakuta has since headed back to Rayo, where he’s done reasonably well, though he remains a professional player with a past imperfect and a less than definitive future. It’s a sad denouement for a such a talent. In the final of the 2010 Under-19 European Championships, it was Kakuta who supplied the cross for Alexander Lacazette, who would later feature in a big money move to Arsenal, to nod home the winning goal in the 3-2 victory over Spain. In a squad of future stars that also included Atlético Madrid’s Antoine Griezmann, it was Kakuta who shone the brightest, both scoring and creating goals. He would be awarded the Golden Player accolade by UEFA as the outstanding player in the tournament. At the time, he was already beginning to make his way in Chelsea’s first team. The future looked bright and Kakuta appeared set for a glittering career. As others in that French squad blossomed, however, their star player faltered and fell back. Surely it wasn’t due to a lack of talent. Was it bad advice by his family and entourage, as some have suggested? Was it poor development by Chelsea and a failure to harness his skills or, to borrow a phrase from horse-racing parlance, did he simply not ‘train on’, a young talent who was doomed never to deliver on such early promise? Whatever the reason, or reasons, the story of Gaël Kakuta remains a cautionary tale about the development of young players, and the brightest of stars who never truly shine.